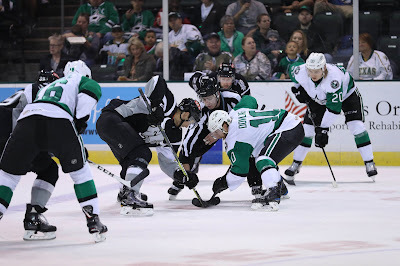 The Texas Stars are flourishing after enduring a 5-2 black eye against the San Antonio Rampage to start this seven game road trip. They have won two straight since then and head into Saturday night's game against the Cleveland Monsters with more than a modicum of confidence. In Saturday's matinee against Cleveland, the Stars won decisively due to two key players stepping up and breaking scoring droughts. Justin Dowling netted his second goal of the season against the Monsters, which put the game out of reach. More importantly, Denis Gurianov found the back of the net for the first time in this year's regular season. It had to be a huge weight that was lifted for the young Russian winger, as his team expects him to score. Roope Hintz more than pulled his weight and finished the game with a goal and an assist. Sheldon Dries chipped in with an empty net goal at the end of the game when Cleveland was desperate. In this second game of a back-to-back we'll likely see Mike McKenna start in the crease for Landon Bow. Bow put together another impressive performance on Saturday, stopping 28 pucks on 29 shots. McKenna has been back with the Texas club for a few days and should be ready to go. The Stars will once again be without Julius Honka who drew into the lineup for the Dallas Stars on Friday night against the Calgary Flames. Cleveland has to be frustrated that they couldn't finish plays and take advantage of their opportunities in Saturday's game. Although they did go 1 for 5 on the power play thanks to Miles Koules' goal, look for Cleveland head coach John Madden to make adjustments to their 5-on-5 play. Brad Thiessen (.900 SV%) will likely draw the start for the Monsters in net. Cleveland's most dangerous man in terms of scoring remains Carter Camper (10 pts). 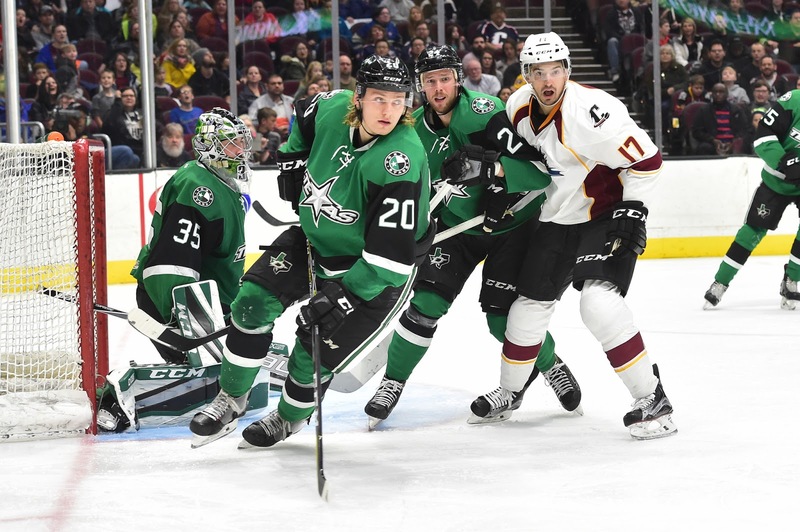 Though the loss against Texas dropped them to fourth place in the Central division, the Monsters are still very much a dangerous team and have played well prior to facing the Stars. 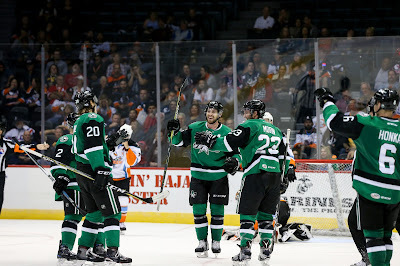 Watch for them to push back in a big way against a Texas Stars team that might be finding its stride. The Texas Stars continued their seven game road trip in their first game of a weekend set against the Cleveland Monsters who have been racking up points in the standings in their last eight games (4-2-1-1). These teams split their series last season 2-2. Stars captain Curtis McKenzie drew back into the lineup as he has been reassigned by the Dallas Stars. Two players who have needed to contribute more scoring, Denis Gurianov and Justin Dowling, stepped up in a big way to lead help the Stars get the victory against a strong opponent. Roope Hintz also paced his team and finished with one goal and one assist. Landon Bow continued his bid for extended crease time with 28 saves on 29 shots. The matinee game got off the ground when Andrew Bodnarchuk gave the Monsters an early power play on a holding call. Texas forced awkward zone entries, killed off the penalty, and then drew an interference call on a centering pass by Travis Morin. The Monsters' 15th ranked penalty kill could've served as an early boon to the Stars' woeful power play (26th), but the Stars didn't get anything going and ceded a shorthanded attempt that rang off the post. Max French committed a slashing penalty that gave the Monsters their second power play, to which the Stars' penalty kill held serve. Jason Dickinson drew an interference minor, which drew the ire of McKenzie who came in late to scuffle with the offending Monsters defenseman John Ramage. The first frame ended with both teams being 0 for 2 on their power plays, and the Stars being outshot 9-7. 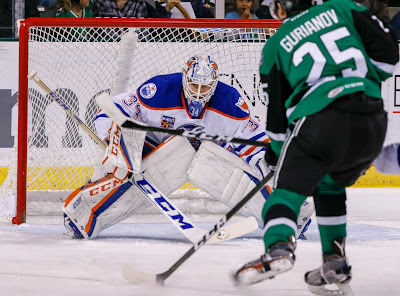 Gurianov finally got his first goal of the year in the second period with a tip in to put the Stars up by one. Brent Regner and Roope Hintz recorded the assists on the goal. With the Stars turning up the pressure, the Monsters started to get chippier, and it ended with Samuel Laberge having to drop the gloves with Cleveland forward Jordan Maletta. After Cleveland tried to create some scoring by piling bodies toward the net, the Stars went on the counter attack and no-one accounted for Hintz. He scored his sixth goal of the year with a snipe from the slot, and followed that up with another quick attempt that almost got past Cleveland goaltender Matiss Kivlenieks. The Stars gave the Monsters their third power play of the game when Gurianov was caught for hooking. Bow maintained his poise, and the Texas lead, by snuffing out a couple of high danger situations. The Stars were awarded their third power play late in the second period when Regner drew a holding call. Time expired in the period before the penalty ended, and the Stars were outshot the Monsters 16-9 in the middle frame. Dowling took advantage of some extended power play time in the third period, with the Stars getting some time with a two man advantage. After Cleveland got one of their men back, Dowling netted his second goal of the year ending a sizable scoring drought of his own. Matt Mangene and French gave the Monsters their fourth and fifth power plays respectively, and the Texas penalty kill finally cracked on the first of the two as Miles Koules found the back of the net from the slot and ended the shutout for Bow. On their fifth power play attempt, the Monsters emptied their net to create a two-man advantage. Sheldon Dries intercepted a pass at the center of the neutral zone and scored into the empty net for a shorthanded goal that put the game away. 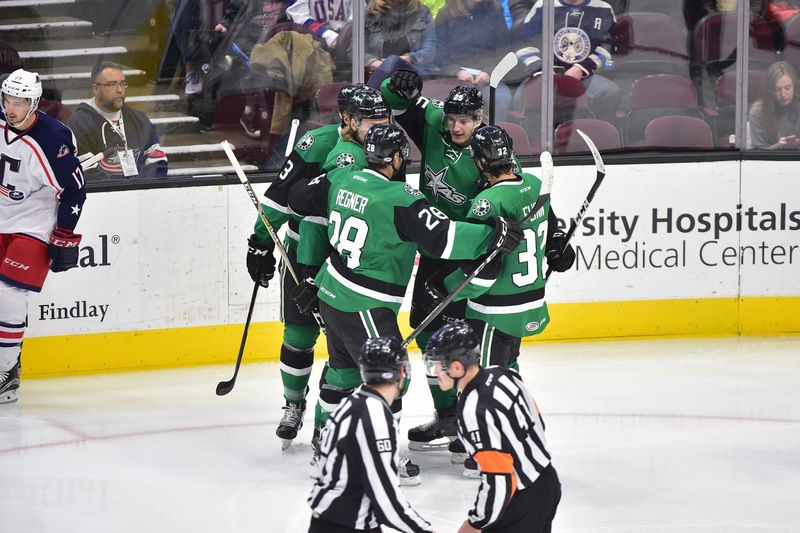 The Stars finish this weekend set against the Cleveland Monsters Saturday, November 25th at 6:00 PM CST. 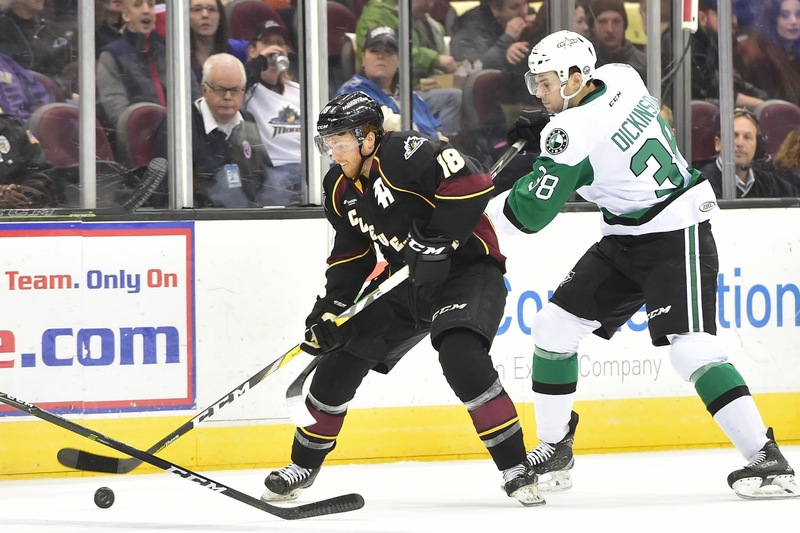 The Texas Stars continue their seven game road trip against the Cleveland Monsters in a Friday first game of a back-to-back matinee that begins at noon CST. Coming off of a shootout loss against the Milwaukee Admirals, the Monsters are deadlocked with three other teams for third place in the Central division. The Monsters are having to get their production by committee as several of their players, such as Tyler Motte and Jordan Schroeder, have been bouncing back and forth between Cleveland and their parent club Columbus Blue Jackets. Watch for Brad Thiessen (.900 SV%) to get the start in goal. AHL journeyman Carter Camper leads the Monsters in scoring with 10 points. The Texas roster received a major boon in terms of personnel and will be heading into Cleveland with a fuller deck than they've had as of late. The Dallas Stars have recalled Julius Honka and reassigned Texas captain Curtis McKenzie, along with Mike McKenna. Landon Bow will likely draw the start due to his strong game against Chicago, making 31 saves on 32 shots. Phillips Desrosiers, who had been backing up Bow, will be sent back down to the Idaho Steelheads (ECHL). 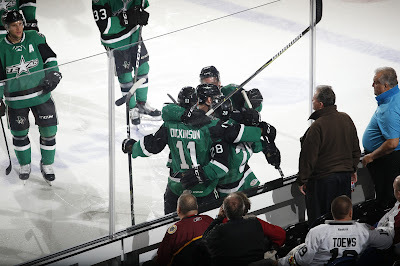 Jason Dickinson continues to ride high for the Stars. He was responsible for the quick overtime period against the Chicago Wolves on Wednesday night when he scored less than 30 seconds in. Watch for Dickinson to continue to put up numbers as he makes a case to stick with Dallas full-time. Texas will likely lean on Dickinson and McKenzie to generate scoring, but could definitely use any secondary scoring to help them improve upon this current road trip (1-1-0). The Dallas Stars had a flurry of transactions this morning. 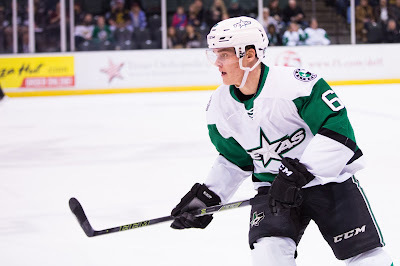 Julius Honka was recalled to the Dallas Stars on paper. The understanding is that he never actually left Dallas in the first place. Curtis McKenzie was reassigned to Texas. He did not play last night in Colorado. Goalie Mike McKenna was reassigned as well, signaling that Kari Lehtonen is ready to return after welcoming his newborn son to the world earlier this week. Dallas Stars General Manager Jim Nill announced today that the club has recalled defenseman Julius Honka from the Texas Stars, Dallas' top development affiliate in the American Hockey League (AHL). 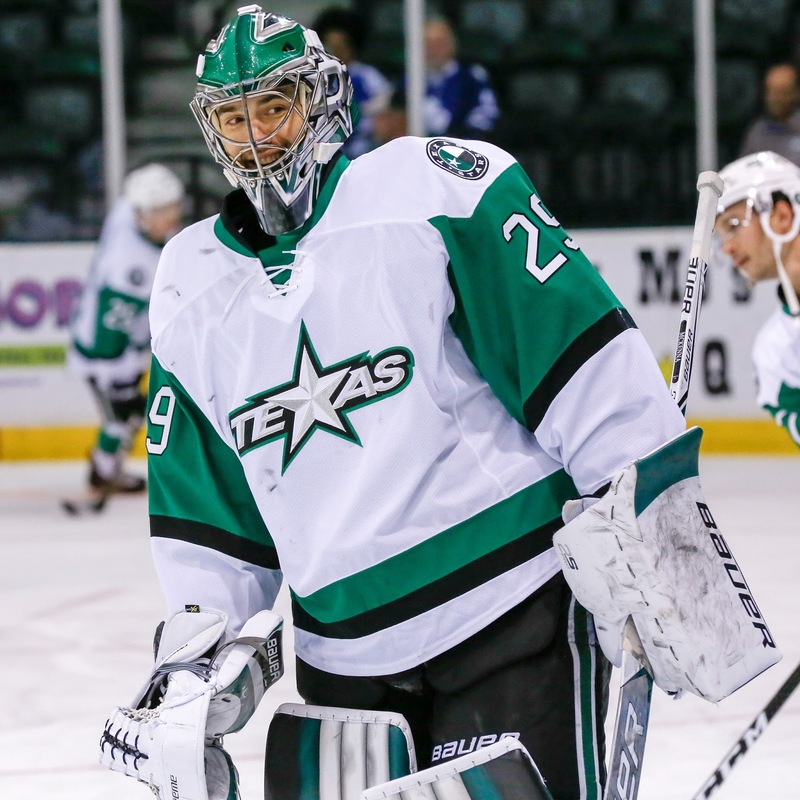 The team has also reassigned goaltender Mike McKenna and left wing Curtis McKenzie to Texas. Honka, 21, has appeared in six games with Dallas during the 2017-18 season, recording six shots on goal, three hits and five blocked shots while averaging 14:58 time on ice per game. In eight games with Texas, he has produced 11 shots and four penalty minutes. The 5-foot-11, 185-pound native of Jyvaskyla, Finland was originally selected by Dallas in the first round (14th overall) of the 2014 NHL Draft. McKenzie, 26, has recorded 16 points (8-8=16) in 16 games played for Texas this season. His eight goals are tied for 13th in the AHL and share first on Texas, and he is second on the team in points. He also shares third in the AHL and leads Texas with five power play goals this season. The 6-foot-2, 205-pound native of Golden, British Columbia was originally selected by Dallas in the sixth round (159th overall) of the 2009 NHL Draft. The Dallas Stars have swapped Curtis McKenzie and Julius Honka with the Texas Stars. 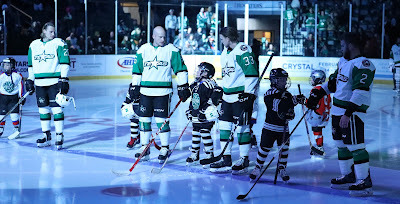 McKenzie has been a point-per-game player for the Texas Stars. Honka has yet to record a point across 14 games this season. 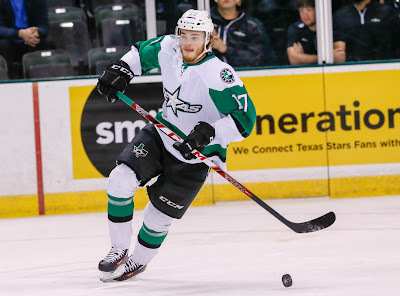 Dallas Stars General Manager Jim Nill announced today that the club has recalled left wing Curtis McKenzie from the Texas Stars, Dallas' top development affiliate in the American Hockey League (AHL). The team has also reassigned defenseman Julius Honka to Texas. McKenzie, 26, has recorded 16 points (8-8=16) in 16 games played for Texas this season. His eight goals are tied for 10th in the AHL and share first on Texas, and he is second on the team in points. He also shares third in the AHL and leads Texas with five power play goals this season. In parts of three seasons with Dallas, he has 21 points (10-11=21) and 120 penalty minutes in 92 regular-season games played. Last season, he set career bests with 16 points (6-10=16), 72 penalty minutes and a +5 plus/minus rating in 53 games played. Landon Bow had one of his best performances of his pro career, and Jason Dickinson was the OT hero as Texas beat Chicago tonight 2-1 in overtime. The rookie goaltender Bow stopped 31 of 32 including 19 first period shots en route to the win. The Stars only managed 3 shots in the frame, but neither side scored. New addition to the Wolves roster Michael Leighton backed up Kasimir Kaskisuo, who was pierced twice on 20 shots for Chicago. Texas broke the scoreless tie late in the second period with Matt Mangene finishing off a centering pass from rookie Max French. The Stars would take the 1-0 lead into the third period but saw it slip away on the penalty kill. Brandon Pirri notched his fifth of the year off the assist of two NHL calibre players in Jason Garrison and Teemu Pulkkinen. It didn't take long for the final goal in overtime. Jason Dickinson beat Kaskisuo sneaking down the right wing side after beating Beau Bennett with a nifty move. The Stars moved above .500 with the win, setting their record at 9-8-1-1 as they approach two games in Cleveland on Friday and Saturday. UPDATE (11 AM): So you can scratch the whole goalie issue for Chicago as veteran G Michael Leighton is now in the Wolves fold. UPDATE (3 PM): Texas has assigned Austin Fyten to Idaho. The forward had been injured this season and has only played one AHL game so far. The last time Texas and Chicago faced off, no one knew what to make of any team in the AHL, least of all these two. It was the first weekend of the season, and the Stars took two games over the Wolves with a 6-5 scoreline in both. The commentary provided here was that Chicago would be off to a quick start and then fade away as injuries to both Las Vegas and St. Louis depleted their core. It turns out those comments were very right, perhaps in an absurd way. The struggles of the Vegas goaltenders have been extremely well-documented. Four starting goaltenders have gone down with injury, including both of the goalies who started the season in Chicago. Neither one is expected back tonight. That has left the Wolves with C.J. Motte and Kasimir Kaskisuo in net for the club. 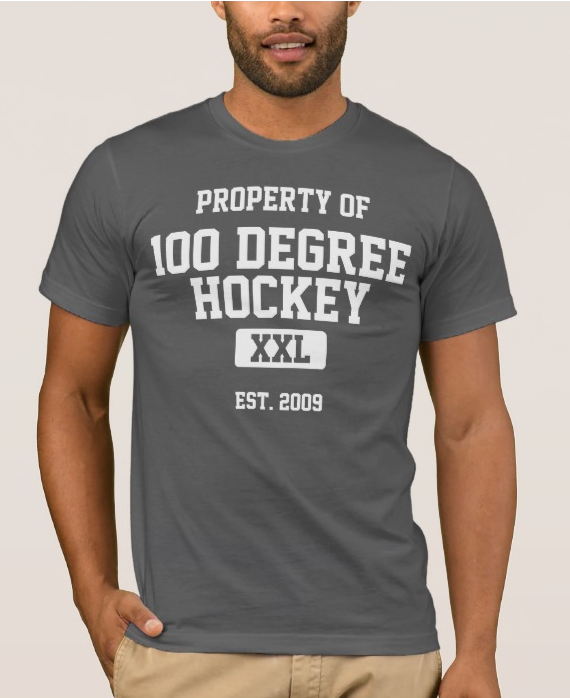 The Wolves were playing .500 hockey before those goalie callups, but it's been terrible since. Motte and Kaskisuo have combined for a 2-7-0-1 record. Making matters worse, the club lost Shea Theodore, who probably should have never been in the AHL this year to begin with, and Alex Tuch, who netted a hat trick against Texas in the opening weekend. Teemu Pulkkinen is still a consistent threat at this level though, with 16 points in 15 games. Chicago, nonetheless, comes in with a six-game losing streak. Texas will have a new look as it rolls out for the second game of a seven-game road trip. Mike McKenna will be in Dallas this evening, and Landon Bow and Philippe Desrosiers will be the goalie choices for Derek Laxdal. Perhaps not tonight, but eventually, you'd have to think Laxdal calls on Desrosiers to see what the kid can do at this level this year. He's 6-1-2 in the ECHL. And, Texas will be without Julius Honka on defense. It's not expected he'll be back anytime soon either as Marc Methot is out 4-6 weeks recovering from a knee procedure. There are two options here as Matt Mangene could slide back to defense and put a forward in his place or Gavin Bayreuther could figure back into the lineup. Laxdal indicated that Bayreuther would likely be getting some healthy scratches upcoming, including both games this weekend, as he works to improve his game by taking a view from the press box. Goalie Mike McKenna has been recalled to the Dallas Stars. According to Dallas media, Kari Lehtonen is unavailable 'indefinitely' for personal reasons. Dallas plays three games in four nights starting tomorrow at home against Montreal. McKenna has struggled early this year along with the team's defense. He is even 5-5-1 this year thanks to a high-scoring Texas offense. Landon Bow has won the majority of the starts over the past two weeks, but McKenna is the veteran of the pair. I would expect a corresponding move to recall Philippe Desrosiers from Idaho ahead of the Texas game tomorrow in Chicago. Philippe Desrosiers has been recalled from Idaho to back up Landon Bow. Nill also announced that goaltender Kari Lehtonen is unavailable indefinitely due to personal reasons. Over the course of his AHL career, he has appeared in 441 games, registering a 211-168-22 record with a .912 SV% and a 2.72 GAA with 26 shutouts. The netminder has logged a combined 22 NHL games with Tampa Bay, New Jersey, Columbus and Arizona, recording a 5-11-2 record with an .889 SV% and a 3.48 GAA. Defenseman Julius Honka has been recalled to Dallas Stars this morning. Honka has yet to score a point in 14 games this season between Dallas and Texas. Texas plays in Chicago tomorrow. Dallas Stars General Manager Jim Nill announced today that the club has recalled defenseman Julius Honka from the Texas Stars, Dallas' top development affiliate in the American Hockey League (AHL). The Texas Stars took the ice once again against the San Antonio Rampage on Saturday evening in the second game of a home-and-home set and the first game of the next seven on the road for the Stars. 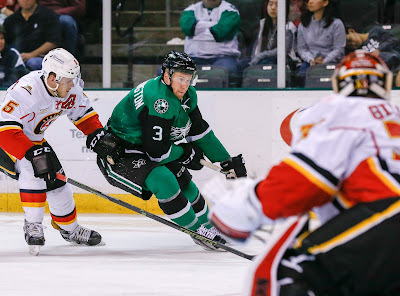 The Stars faced the Rampage on Wednesday night, a game in which Texas held on to win 4-3. For this game the Rampage had the luxury of icing elite prospect Tyson Jost who was recently assigned to the AHL by the Colorado Avalanche. The end result was less than ideal. The Stars were competitive in the early going but let the game get away from them in the second half. At one point they allowed three unanswered goals, which was hard to overcome. The rookie Max French gave the Stars early momentum with his second goal of the year less than three minutes into the game. Denis Gurianov kept his foot on the gas and drew a penalty shot, but only found the stick of Spencer Martin who drew the start for the injured Ville Husso. The French line made a lot of positive noise early. Not only did they account for the lone goal, they also generated a few good looks. One of their shots from the point was deflected in front of the net and hit the post. Though Texas spent enough time in the offensive zone, puck possession was fairly even among the two teams early on. The Stars turned the puck over in their own zone to set up a point blank chance but caught a break as the puck went wide of the net. The Rampage drew a hooking minor and got their extra attacker out onto the ice during the delayed penalty. They hung onto the puck for about a minute of play and executed a couple of one-timers that Landon Bow shut down. Bow continued his recent string of strong play in the first period, including on San Antonio's first power play of the game. He had to be on his game as the Stars were outshot 12-7 in the first period. Coming off his two goal game on Wednesday, Stars captain Curtis McKenzie had a quality scoring chance from the right circle that was denied by Martin. Andrew Bodnarchuk started the second period with a quality chance off of a quick neutral zone transition. It appeared to give the Stars a charge but it didn't last long. After an icing committed by Texas, they were forced to take a draw in their zone and it led to a goal by A.J. Greer to keep up his point per game pace. Alex Belzile kept the pressure turned up for San Antonio and redirected a shot in front of the net to put the Rampage up by one and continue his five game point streak. Both of Belzile's goals this year have come against Texas. The teams traded power plays on penalties committed by Roope Hintz and Jordan Schmaltz respectively. Schmaltz cross-checked McKenzie after taking issue with a play from the captain that he didn't like. Both penalties were killed off, but San Antonio quickly scored their third unanswered goal as Tage Thompson batted a puck out of the air into the net. It was Thompson's sixth goal of the season. The Stars couldn't quite tilt the ice back in their direction late in the second period, and Bodnarchuk committed a tripping penalty to send the Rampage on their third power play. McKenzie made a good play on the forecheck to help kill the penalty off, and the Stars went into the locker room down by two. Coach Derek Laxdal blended the lines in the third period to try and generate some scoring. It was successful in that the Stars had a few early attempts that were initially turned away by Martin, but the strategy eventually paid off. Jason Dickinson followed up on a rebound and scored for his eighth goal of the season. The Stars then had a chance for the equalizer on the power play. Newly acquired Reece Scarlett was driven head first into the boards to draw the penalty. Dickinson had a tip-in opportunity, but the Stars were blanked on the power play going 0 for 3. The puck didn't bounce the Stars' way later in the third, and a centering pass from San Antonio bounced off of a skate and into the back of the Texas net. The play went under a lengthy review, but the call on the ice stood. Andrew Aggozzino was awarded the goal. As if things weren't already getting away from the Stars, Rocco Grimaldi redirected a puck in front of the net to score and close the door on a potential comeback. The Texas Stars continue their road trip on Tuesday, November 21st at 7 PM against the Chicago Wolves. 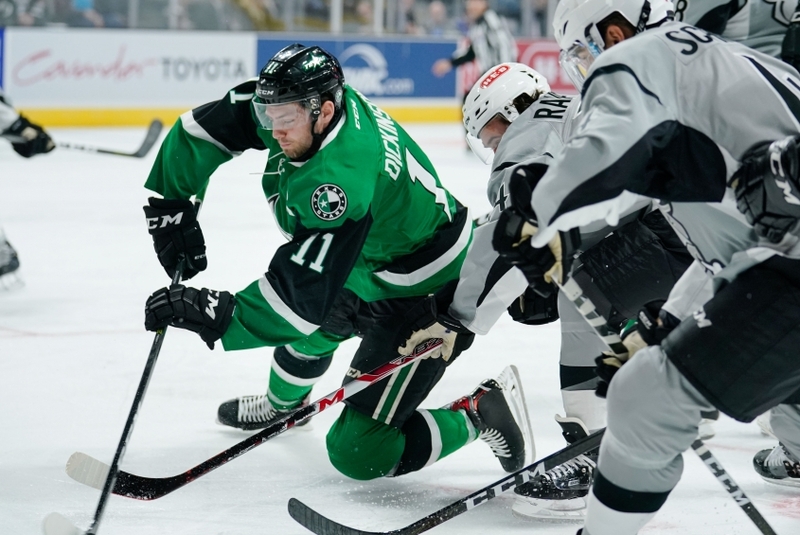 Playing the second game of this home-and-home set against the San Antonio Rampage, the Texas Stars took the first step in improving their poor record against their in-state rival this season on Wednesday night. They managed to eke out a 4-3 victory for their first win of the year against San Antonio after three tries. This game is the first of seven consecutive games on the road for the Stars. For this particular matchup, they will have a fresher version of Jason Dickinson who didn't just step off of a plane onto the ice. The hyper-versatile winger was sent down by the Dallas Stars just in time for Wednesday night's game. Curtis McKenzie, the newly minted Texas captain, is coming off of a two goal game and a productive stretch of recent play. Look for Landon Bow, who has been pushing Mike McKenna for playing time as of late, to get the start in net tonight. Julius Honka has had a frustrating year and has yet to record a point in 13 professional games this year. He will be someone to keep an eye on as well. As has been the case all season the Stars will be hamstrung by the AHL veteran rules and will have to strategically manage which veterans should see ice time. It's possible that Greg Rallo and/or Mark McNeill could draw into the lineup. The Rampage are looking to improve upon their dominant play against the Stars this year, and keep them at bay while making a push in the Pacific division. Whenever they're in the lineup Samuel Blais and A.J. Greer are point per game players, along with the recently acquired Vladislav Kaminev. San Antonio heads out on the road for the rest of November, so they likely have this game pegged as a must win. 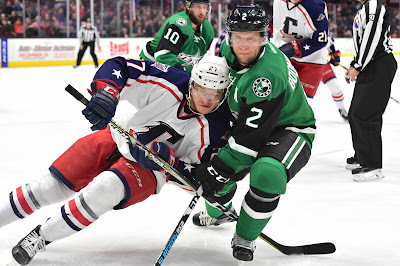 The Stars are going to have their hands full but need to prove they can find some consistency against superior competition within their division. 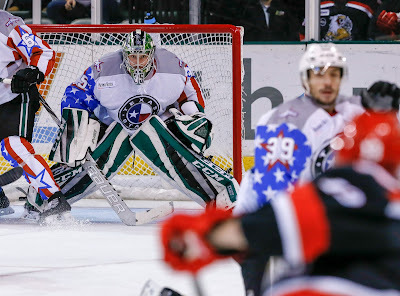 The Texas Stars battled back from three individual one-goal deficits and eventually broke free in the third to defeat San Antonio 4-3 in Cedar Park this evening. The power play took a starring role with Curtis McKenzie converting on two opportunities in the game. "I liked our response from Saturday night," said Coach Laxdal. "I liked the way we responded. We had good composure in our game. Every time they went ahead, we battled back to tie it up. To win on a sleepy Wednesday is a big two points for us." Even with San Antonio scoring on the first shift of the game, Texas goaltender Landon Bow, starting his third game in the team's last four, didn't let that shake him. "You can't think about it too much. Goals are going to happen. That one was early enough. There's still plenty of hockey left." Bow didn't have to be spectacular, but he came up big several times in the third period to keep things tied and give Texas a shot at the win. "He's pushed Mike [McKenna] a little bit," said Laxdal. "It's good to have that inner competition in the group. He had good composure and made some important saves for us as the game went along." After the Rampage opened the scoring early, McKenzie stepped up on the power play. It was surgical passing from Travis Morin to find McKenzie on the backdoor from the right wing circle. "It was tough at the start of the year when our [power play] percentage wasn't great," said McKenzie. "I thought we had tons of chances over the games. It wasn't like we weren't getting any opportunities. We knew things were eventually going to break and we've found a couple of units that are working well." Coach Laxdal noted that his veteran power play group consisting of McKenzie, Morin, Justin Dowling, Brian Flynn and a defenseman has had a lot of success over the past week and a half, dating back to a 3-for-6 effort in San Diego. The back-and-forth goal scoring continued in the second period. A.J. Greer went blocker side on Bow for the 2-1 lead at even strength. Just a few minutes later, it was McKenzie again, answering back with yet another power play goal. It was nearly the same setup with the scoring line switched up. "They were just both great looks where they went cross ice and didn't quite have the one timer," said McKenzie. "I went to the net backdoor, and they hit with great passes on the backside. It started ahead of that though. The battles of guys winning pucks and retrieving pucks in the corners." Alex Belzile whipped one in on the power play off a great primary assist from Tage Thompson to reset the lead for San Antonio. That lasted all of eight minutes until Roope Hintz broke in down the left wing side for his fourth of the year and the 3-3 tie after 40. Going into tonight, Texas has been outscored 22-8 in the third. "We got the win in the third," said McKenzie. "Our thirds haven't been great, and it's something we've been working on." The final score of the game came on a weird bounce. Samuel Laberge tracked back on an offensive zone exit to start the play. Matt Mangene finished it with a backhand, roofing it over Spencer Martin for the ultimate game winner. Texas hits the road for a lengthy trip starting in San Antonio on Saturday. UPDATE: Jason Dickinson has been reassigned to Texas. With Dallas on a road trip, there is no guarantee he will arrive in time for the game tonight. Despite yesterday's loss to the Grand Rapids Griffins, the San Antonio Rampage are still flying high. Spencer Martin (6-2-1, .920, 2.39) is the reigning AHL player of the week and new addition Vladislav Kamenev (3-9=12 in 14 GP with MIL and SA) is already on a point-per-game pace with the Rampage. It's tough to read any trendlines in this recent stretch for the Rampage. Both losses against the Griffins were high-scoring for the opponents. However, San Antonio beat Rockford 6-0, so scoring isn't a problem for them. One trendline that is tough for this series is the current record. Texas hasn't won a game yet in three tries. It's an anomaly in the overall series, which the Stars lead by nearly a 2-to-1 margin (58-27-5-11). If anything, Texas should be happy to be at home against the Rampage, where they hold a 33-11-2-6 all-time advantage. Something to watch for on the Texas side of things will be who is in net. Landon Bow had an excellent showing last week in two games, earning wins against San Diego and Grand Rapids. Now at 2-2 and with a save percentage above .900, he has the best stats in the clubhouse right now. Coach Laxdal noted that Bow's play had created a competition in the net, and we may begin to see that play out starting tonight. Also, watch to see if Denis Gurianov is back in the lineup. The team was tight-lipped on his absence, noting that it was neither an injury nor related to his play on the ice. Texas had quite the reversal in score from last night's win over Grand Rapids as the Griffins topped the Stars 5-1 tonight in Cedar Park. Travis Morin opened the scoring, but then it was all Griffins. "[Grand Rapids was] kind of like us last night," noted Coach Derek Laxdal. "They battled through the first ten minutes and got going. We battled through the first ten last night and then we got going." Morin's goal came at the 11 minute mark of the first, assisted by Curtis McKenzie and a nice below the goal line pass by Niklas Hansson. It seemed that Texas was ready to keep rolling but the goal woke up the Griffins, who struck back two minutes later on a goal that was initially reviewed but counted. "I feel like it was a closer game than 5-1," said Morin. "We had a lot of chances to score and a lot of the stuff we gave up was stuff we can fix and clean up." Indeed all night it seemed like Texas was just missing by that much. Passing, defensive coverage and more were off by just enough. Grand Rapids is a good team and they took advantage. "We basically shot ourselves in the foot," said Laxdal. "We have to be a little more poised with our play with and without the puck. We're paying the full price for our mistakes. Last night we got away with it and tonight we didn't." Grand Rapids would score another before the period was over, a 2-on-1 marker, and that would stand as the game-winning goal. They would add another off a Texas turnover midway through the second to make it 3-1. Texas had a handful of power play opportunities but was unable to replicate the success they had earlier in the week in San Diego. "Our big guys have to score on the power play. When you don't score on the power play, the other team gains momentum, and they rode that to the finish line tonight." The Stars had a few solid chances, but Jared Coreau was up to the task. The ultimate kick in the teeth came as Texas struggled to break out of their own zone and ended up with a defensive zone faceoff on the power play. Matt Ford collected a faceoff win and threw it on net for the 4-1 goal. Landon Bow would relieve Mike McKenna to start the third, which was mostly a quiet period. Eric Tangradi pierced Bow for his only goal against on a shot that Bow had initially but couldn't get to the rebound on. Despite being a bit thin right now with injury and call ups, Texas believes they have the ability to compete and win in games like this. Morin added, "We just need to clean up some things in the D zone a bit. Coming back into the zone. We had a couple 2-on-1s we need to clean up a bit, how we're covering it. I'm sure we'll touch on everything [in practice this week] and clean it up a bit." Texas faces San Antonio at home on Wednesday. Denis Gurianov was a healthy scratch tonight, but it was "not related to his play." No elaboration was offered. This morning, Texas finds itself in playoff position. Last night's win over Grand Rapids puts the club a game over .500 and in 4th place in the Pacific Division. The win also started to buoy the confidence of the club. Texas had a perfect PK last night but only had one chance on the power play thanks to a disciplined Griffins squad. If there is any way to improve on last night's excellent performance, it would be the addition of a power play goal. However, everyone on the roster would take the two points any way they get them. 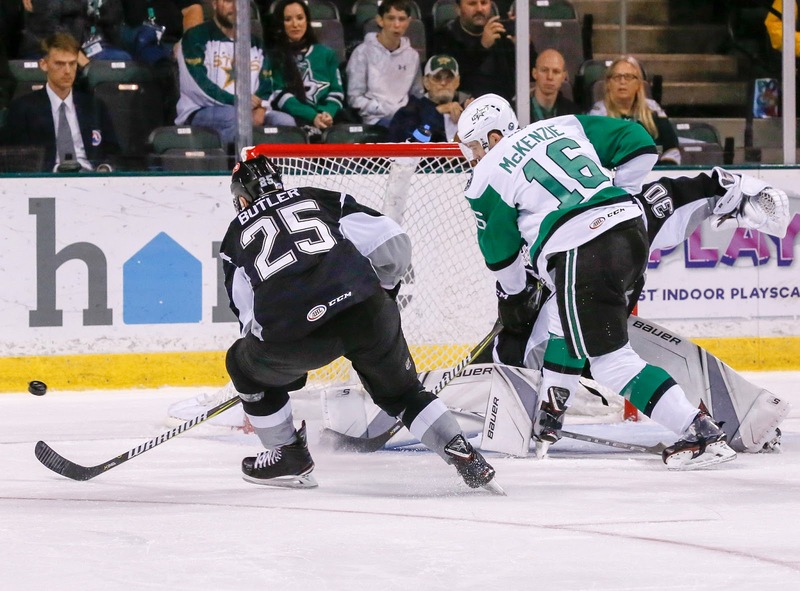 Texas gets Curtis McKenzie back this evening after he was recalled to Dallas last night. He did not play in the game, so he should be a fresh addition to the lineup. Texas will also likely see Reece Scarlett at least in the building, if not in the lineup. Scarlett will wear #24 for Texas. Mike McKenna will get the start for Texas, but Coach Laxdal commented last night that Bow's performance in the last two games has kicked off a 'healthy competition' between the two for starts. That is a very different story than the start of the year when Bow was clearly the backup and not expected to get many more than 25 starts this season. 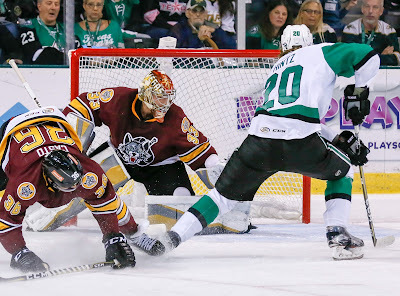 Coming off a rough road trip, the Stars got a fantastic effort from their rookie goaltender Landon Bow and offensive contributions from the bottom six to collect two points against the defending champions tonight in Cedar Park. "It was a long road trip," said Sheldon Dries, who scored the game-winner. "Coming off that last game, we knew we had to build. Once we settled in, we played a strong game." Texas did face an early challenge as they were being drastically outshot and outchanced. Midway through the first, the Griffins were outshooting Texas 12-2. Contributing to the imbalance was a 5-on-3 power play for the Griffins that spanned 71 seconds but came up empty for the visitors. "We knew we had to work out our travel legs and fight tough," said goalie Bow. "We knew they'd come hard. That was a big turning moment in the game. If they get one or two there, we're in the hole, and we might not have that same energy we did at the end of the period." After Bow bailed the club out in the first ten minutes of the period, the fourth line jumped in to take the mantle from there. Colin Markison scored his third of the year coming down the left side, just the sixth Texas shot of the game. "Our bottom six guys gave us a spark in the last ten minutes of the first period," noted coach Derek Laxdal. "Our fourth line gave us good forechecks and just allowed us to sit back and create more energy in the game." Despite a 16-8 shot deficit, the Stars ended the first up 1-0. Grand Rapids would fight back in the second. The Griffins themselves had just two shots in the first half of the second period. However, they would be the only goal scorers in the frame. Tyler Bertuzzi saw his shot trickle over the line behind Bow for the 1-1 tie. The Stars only needed five shots in the final period to get things done. With Dillon Heatherington in the box, Sheldon Dries kept the bottom six energy going as he generated a turnover on a strong forecheck. "The strong forecheck will help us keep the pressure up on the penalty kill," Dries said. "They threw it back. I saw the defenseman bobble it a little bit, thought I could dive in and scoop it up. Luckily I could." Dries scored his third of the year, a shorthanded marker, to put Texas up 2-1. That would stand as the final score. The game was solid in many regards for Texas. They had a perfect PK record and even scored a shorty. Landon Bow stopped 33 of 34 shots. Texas also hung tough in a low scoring game. Coach Laxdal praised Bow's effort after his season started with a rough loss against San Antonio, "It's great having [goalie coach] Jim Bedard around because he can work with the goals daily. He's working on conditioning and skating. He's working to play a little more quiet. "It's more of a healthy competition [in net]. We needed someone to step up and he's definitely stepped up for us." Texas plays Grand Rapids again tomorrow night. The Dallas Stars have traded defenseman Ludwig Bystrom to the Florida Panthers in exchange for defenseman Reece Scarlett. Bystrom has been used sparingly this season for Texas, getting into six of the team's 13 contests. He had a single goal and seven shots on net. Scarlett has played 12 games for AHL Springfield with a goal and an assist. He played his WHL hockey with Swift Current alongside current and former Texas Stars Justin Dowling, Cody Eakin and Taylor Vause. Most of his AHL career has been with Albany after being drafted by the Devils in 2011. Dallas Stars General Manager Jim Nill announced today that the club has acquired defenseman Reece Scarlett from the Florida Panthers in exchange for defenseman Ludwig Bystrom. Scarlett, 24, has skated in 13 games this season for the Springfield Thunderbirds, Florida's American Hockey League (AHL) affiliate. The blueliner has registered two points (1-1=2) and leads Springfield defensemen in penalty minutes (22) and shots on goal (24). The six-year pro has appeared in 229 career AHL regular-season games with Albany and Springfield, registering 95 points (18-77=95) with a +6 plus/minus rating. He has skated in 10 career Calder Cup Playoff contests, all as a member of the Albany Devils. The 6-foot-1, 185-pound native of Edmonton, Alta. was originally selected by New Jersey in the sixth round (159th overall) of the 2011 NHL Draft. 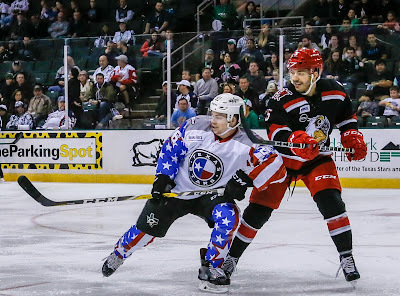 Bystrom (LOOD-vihg BEE-struhm), 23, has appeared in six games during the 2017-18 campaign for the Texas Stars, Dallas' top development affiliate in the AHL. He has posted one goal (1-0=1) with seven shots on goal. In 138 career AHL regular-season games, all with Texas, the blueliner has recorded 36 points (5-31=36) with a +14 rating. He has skated in four career Calder Cup Playoff contests. The 6-foot-1, 175-pound native of Ornskoldsvik, Sweden was originally selected by Dallas in the second round (43rd overall) of the 2012 NHL Draft. Texas returns home to meet the Grand Rapids Griffins this weekend, a team with the exact same record as Texas but whose path to that record has been slightly different. The Stars began the season hot and floated as high as three games above .500. The defending champ Griffins peaked at 2-1 after three games and only just made it back to .500 hockey with a 7-4 win against San Antonio on Thursday. Part of that rebound has been a big power play. Against San Antonio, Grand Rapids notched three on seven opportunities. They also came back from a 3-1 deficit after after the first period for the win. 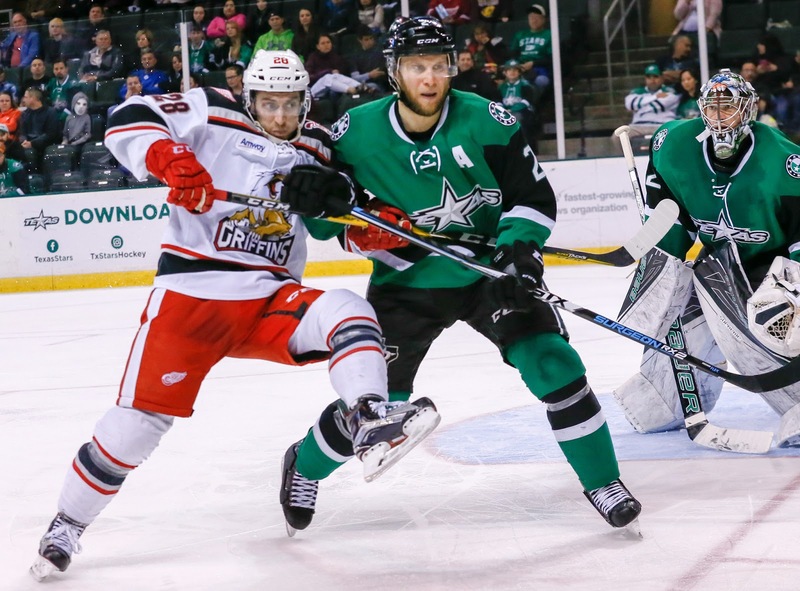 Making the Stars path against the Griffins more difficult will be the loss of Curtis McKenzie to recall. With one fewer veteran to juggle, Coach Laxdal will have the luxury of adding Mark McNeill to the lineup if he chooses (McNeill being a player like McKenzie with 260-320 games of experience). However, Texas also has Cole Ully and Austin Fyten as options to bolster the lineup. Neither would be expected ot have the offensive impact of McKenzie though. After his last outing, where he collected a hat trick among his five points, he is nearly a point-per-game player (6-5=11 in 12 GP). Only Travis Morin has more points on the team. This weekend's two games will be the only visit for Grand Rapids to Cedar Park. Texas has not faired well against the club historically, putting aside the 2014 playoffs. 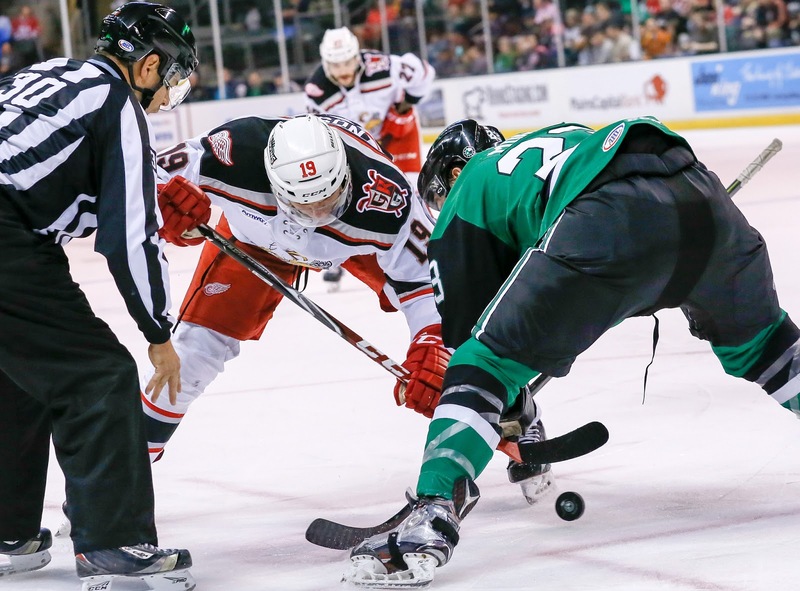 Texas has won just twice in the last five years at Cedar Park, going 2-5-1 overall against the Griffins. Between home and away, the Stars have just three victories in that same time span. Two of them came last year, though. Texas came out of the gate hot tonight and never cooled off. The power play came back to life and Curtis McKenzie had a hat trick, his second pro trick, and added two assists to boot. The Gulls managed just 15 shots on Landon Bow, who earned his first win of the season in the 6-2 contest. Max French also scored his first professional goal. Even with McKenzie's hat trick, the big story of the night was the power play. 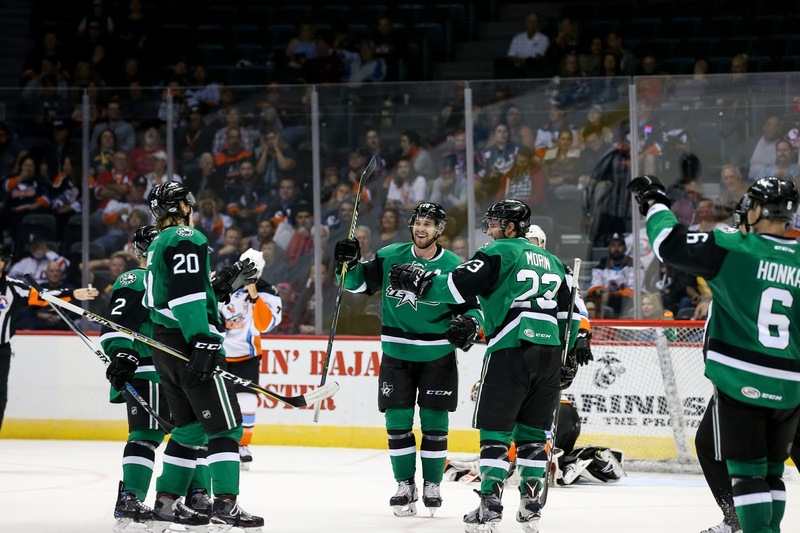 Ranked 30th in the league, the Stars were showing little to no life on the man advantage. Given six opportunities this evening, Texas converted on three. The same PP unit was on the ice for all three: Julius Honka, Justin Dowling, McKenzie, Travis Morin and Brian Flynn. Colin Markison got the scoring started early with his second of the year before the power play kicked off. Brian Flynn notched his fourth to make it 2-0 after twenty minutes. McKenzie earned his first off the setup from Dowling to make it 3-0. McKenzie extended the lead to 4-0 just 101 seconds later with a tip-in off a shot from Roope Hintz. San Diego would get one back on the power play before the end of the frame, but the period ended 4-1 for Texas. French added his goal early in the third, a redirection of a McKenzie shot, to make it 5-1. San Diego again struck on the power play but so would Texas. McKenzie would earn his hat trick on the power play in the 12th minute on a deflection from Morin's point shot for the 6-2 final. Bow stopped 13 of 15 shots against, certainly no help to his save percentage, but earned the win. 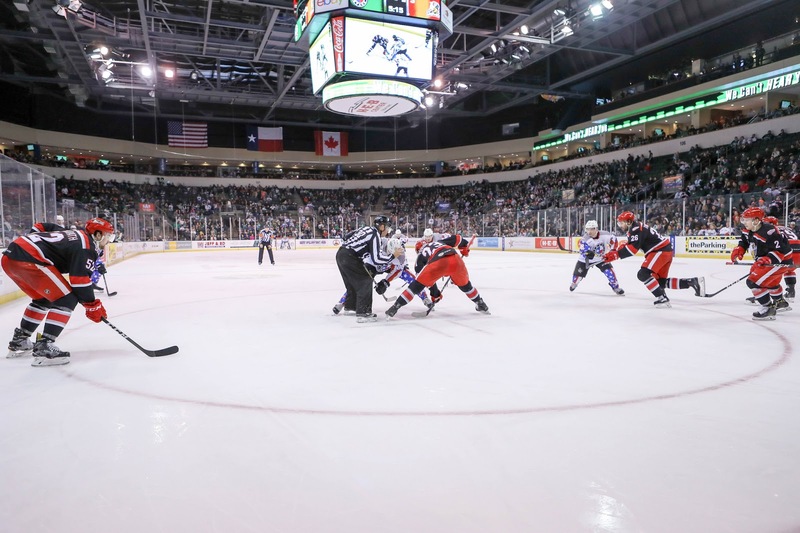 Texas returns home now to play Grand Rapids in back-to-back games this weekend. Seasons are made up of moments. Tonight might be one of the biggest yet for this team. Facing a squad that left them beaten and bloody (even though they took the victory), Texas is at a turning point. They're on a three-game skid and rank last in the league in both power play and penalty kill. Both goalies have GAAs over 3 and save percentages significantly under .900. Travis Morin is scoring as always, but there are several question marks on offense. Justin Dowling has a single assist in ten games. Denis Gurianov has six assists but no goals and a minus-7 rating and has seemed invisible at times on the ice. Recently assigned Julius Honka is without a point in three games, which doesn't seem like much but his stats would suggest he'd at least have an assist to his credit at this point. The competition hasn't been exceptionally stiff. Stockton is a good team but Bakersfield and San Jose were both winnable games on paper. San Diego has the same 11 points as Texas. The turning point comes here. If Texas can get a point here, score a power play goal or keep the sheet clean on the PK, it would show life. If not, the weekend series against Grand Rapids could prove very painful. 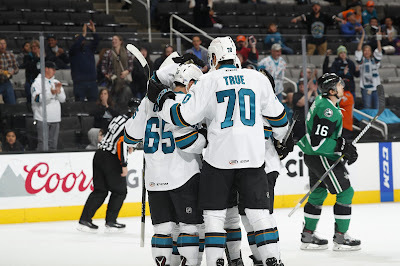 The Texas Stars took to the ice against the San Jose Barracuda on Sunday evening looking to clear out the irritations that undoubtedly accumulate after two straight losses. Texas last faced San Jose eight days ago in Cedar Park, a bout in which Texas points leader Travis Morin sealed the game for the Stars in a shootout. In a game that seldom seemed to be played at even strength, the Stars had every opportunity to juice their woeful power play, but they only scored one goal on six opportunities, and went three for five on the penalty kill. Playing their third game in four nights, Texas didn't come out of the gate like they wanted, and amassed three penalties in the first period. The first, committed by Gavin Bayreuther, was within the first two minutes. Mike McKenna made a couple of saves on shots from the slot, and the Stars didn't allow anything else. Later in the first period, after several minutes of neutral zone give and take, the Stars drew a penalty as Cole Ully took a stick up high. Just before the play, Julius Honka made a critical defensive play on the back check near the slot to ensure McKenna could make a manageable save. Nothing doing on their first power play, Texas allowed San Jose to pile up the shot totals in the first frame after committing another penalty. This time Marcus Sorenson, who finished the night with a hat trick, made them pay from the slot for his second goal of the year. Ludwig Bystrom answered by helping to get the Texas power play off the snide, beating San Jose goaltender Troy Grosenick on a feed from Matt Mangene. Sorenson quickly squashed the Stars' momentum and scored his second goal of the night off of a puck that bounced off of Sheldon Dries' skate. San Jose continued to take advantage of the heavy-legged Stars by drawing a third penalty. Swedish winger Filip Sandberg scored on a tip-in, and Texas couldn't seem to get anything going their way. The Stars were outshot 12-6 heading into the first intermission. Morin had Mark McNeill flanking him at the beginning of the second period for a 2-on-1, but couldn't find twine as Grosenick sniffed it out. The Barracuda gifted the Stars an opportunity with a high sticking minor, but the Stars failed to manufacture one shot with the man advantage. His team down by two, Morin committed a slashing minor giving San Jose their fourth power play of the game. After killing the penalty, Morin attempted to atone by batting a puck out of the air towards the net, but Grosenick made an impressive save. Later, Roope Hintz hit a post, and the Stars weren't able to take advantage of the couple of good looks they had in the second period. They were awarded their fifth power play for a cross-checking call on Julius Bergman, which would carry into the third period. Honka ran some point for the duration of the man advantage, and it led to a one-timer from Hintz, but no goal. The Barracuda buried the Stars in the third period with three unanswered goals, the first from Sorenson, who completed his hat trick. The latter two were on the power play and a late period awkward angle shot to send Texas out with a 6-1 loss. 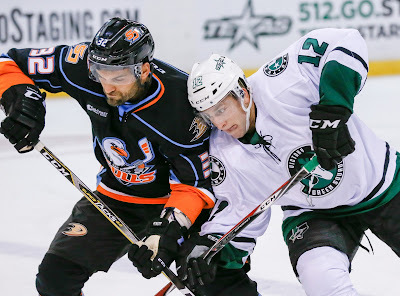 The Stars will stay in California and look to get back on track in the Pacific division as they take on the San Diego Gulls on Wednesday at 9pm CST. Texas finishes their weekend (but not their road trip) this evening with a jaunt over to San Jose. The Barracuda are not looking like the world beaters they were last season. Indeed, they are 3-5-0-1 and haven't won in the week since Texas last played them at home. Their lone game was a 4-2 loss at the hands of the similarly pitiful Ontario Reign. The Barracuda will be playing their first home game in over two weeks, coming back from a five-game road trip that sent them from Ohio to Texas and finally to south California. Texas opens this six-game stand for them as they seek to get back to the type of hockey that won them the division last year. To that same point, Texas is looking to shake off the past two games, rough losses for different reasons. One big way to break out of that funk would be a solid night for the power play. Even one power play goal would be a fantastic way to shake that off. Two might be too much to ask, but a good percentage (1/4, 1/5) would go a long way. With the team on the road, it's tough to know right now, but both Gavin Bayreuther and Denis Gurianov missed the game last night. Those aren't players who would miss as healthy scratches, generally, so one important thing to watch for will be their inclusion or exclusion from the lineup. The only goal in tonight's game against Stockton was a tough one to swallow. 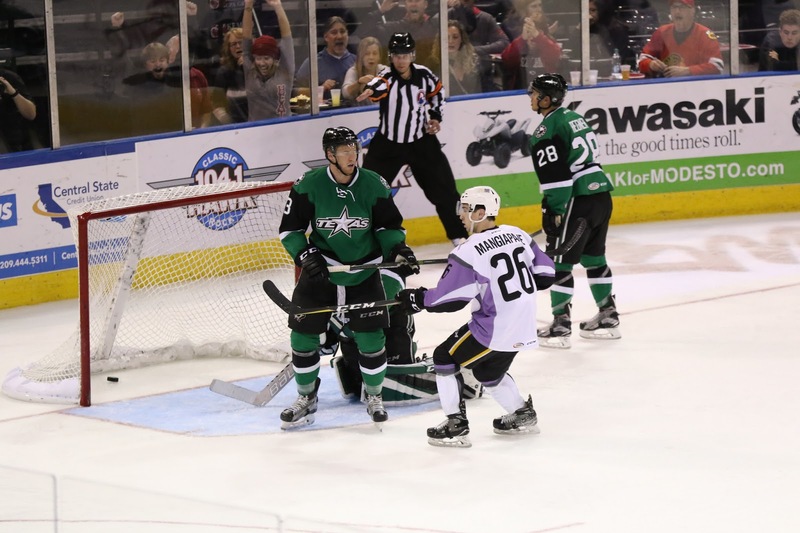 Garnet Hathaway had the winner off the skate of a Texas Stars' defenseman at 8:07 of the second period. Landon Bow, still in pursuit of his first win of the year, stopped 24 of 25 shots against him in the losing effort. It was Texas's first time being shutout this season. The Stars were shut out 3 times last season with the last being a shootout loss against Chicago on March 15th. The Stars had five chances on the power play, coming up short in the special teams department yet again. Their power play woes have stretched to historic lows as they finished the evening with a 6.8% on the season, just three goals on 44 chances. Making matters worse, the goal against came on the power play for Stockton, putting Texas at 26th in the league on the kill. The loss drops Texas back to .500 on the season. Tomorrow's contest against the San Jose Barracuda is a matinee affair on the Pacific coast. Texas plays another first in a season series this evening in Stockton. The Heat are off to a solid start, owning 3rd place in the Pacific Division and a win rate 3 games above .500. To this point, they have only played two games with teams outside California. They beat defending champs Grand Rapids on October 14th and fell to Manitoba last night. Jon Gillies is the main man in net for the Heat. Last season, everything seemed to be going his way until an injury put him out of the game for most of the year. He played in 39 games with a .910 save percentage. This year, he's off another solid start at 4-2-1 with a .920 save percentage. David Rittich is his backup. He has similar numbers with 2-1-0 and .916 save percentage. Andrew Mangiapane is a player to watch out for this evening as the reigning player of the month has 16 points in 10 games. He leads the league as of this morning, tied with perennial top performer Chris Bourque. Garnet Hathaway is not far behind with 6-6=12 in the same 10 games played. Mangiapane and Hathaway also lead the league in plus/minus at plus-10 and plus-12 respectively. The highest point producer on Texas is, of course, Travis Morin with 2-9=11. Stockton has been getting it done against Texas for two years now. In fact, in 12 total matchups, the Stars have emerged with the victory only three times. At Stockton, the record is worse with just one win to four regulation losses and a shootout defeat. No doubt this is a team that can score. They're averaging 3.6 per game. Texas is also averaging above three, but they're allowing 3.90 per game as well. Goaltending and defense need to tighten up to have a chance against a very talented squad in Stockton. Next Tuesday is Election Day in Texas, and one of the ballot measures could have a big impact on the Texas Stars. Proposition 5, if passed, would amend the state constitution to allow minor league teams like the Texas Stars to hold 50/50 raffles at their home games. A 50/50 raffle, if you're not familiar, is a combination charitable event and lottery that is extremely popular in Canada. Fans buy raffle tickets at the game and their proceeds go into the pot. At the end of the night, one ticket is chosen as the winner and that person gets half the collected funds. The other half goes to a charity. In the case of the Texas Stars, this would be their foundation. These types of raffles are extremely popular in Canada with the pot for some NHL games hitting six figures. Some fans may remember the $10,000+ pots for 50/50 raffles that were advertised in St. John's during the Calder Cup run. Raffles like this are restricted under the constitution as the state has been the only entity allowed to run a lottery in the past. Two years ago, a similar proposition passed that allowed major league teams to run these raffles. Prop 5 would expand this to all minor league teams, including Texas, the Round Rock Express and the Austin Spurs. 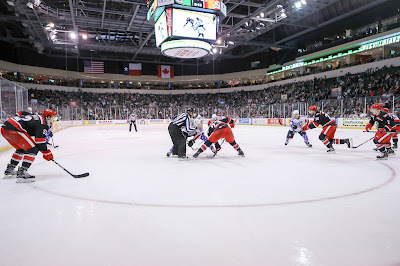 "We've had good success [in Dallas]," said Brad Alberts, President of the Texas Stars, concerning the raffles in Dallas. "You can't compare it to Canada. Hockey and 50/50 raffles are synonymous there. We're fairly happy, and we think there's upside there." Part of the upside comes after getting fans more familiar with the concept, he notes. "A Canadian hockey fan gets their 50/50 ticket and a beer and they go to their seat. That's part of going to a hockey game in Canada. It's due to Texas culture. People have to get used to it. As it comes to every sporting event, people will start to participate at a higher level." The Stars plan to use their funds to promote youth hockey in Central Texas. The Dallas Stars Foundation does the same for North Texas with their funds. Alberts also notes that fundraisers like this give the team more discretionary funds to donate when disasters, such as Hurricane Harvey, strike. Early voting ends today. Election Day is Tuesday, November 7th. Texas hit the road for a four game, nine day trip tonight, falling in their opener 5-2 to Bakersfield. Texas had a 2-0 lead heading into the final frame, but allowed five in the third. Two came on the power play and the final tally was an empty netter. In positive news, Justin Dowling returned to the lineup after missing last Saturday's game with an upper body injury caused by San Diego's Stu Bickel. Texas next faces Stockton on Saturday night. 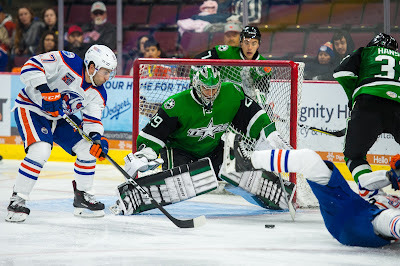 The Texas Stars carried a 2-0 lead into the third period thanks to Brian Flynn, but the offense for the Bakersfield Condors erupted for five goals to lock up a 5-2 final on Thursday night at Rabobank Arena in front of 5,319 in attendance. Ty Rattie tallied a hat trick for the Condors (5-4-0-0) in the third period, including a pair of power play goals. Flynn scored his second and third goals of the season to give Texas (5-4-0-1) a two-goal lead entering the final frame. Travis Morin (five games) and Dillon Heatherington (four games) each tallied assists for Texas to extend their individual point streaks. Texas visits the Stockton Heat Saturday at 8 p.m. CST to continue their four-game road trip. The Condors' surge began at 2:16 of the third when Joey LaLeggia buried a rebound goal for his third of the year. Rattie's first power play strike came from the right circle at 8:49 on a crossing pass. Joe Gambardella slipped home a point-blank chance around Mike McKenna of the Stars after a Texas turnover in their own zone. Rattie added another power play goal with 5:53 to play and capped off the hat trick on an empty-net goal with three mintutes remaining. Eddie Pasquale earned the win in net stopping 31 of 33 shots. McKenna suffered the loss going 16 of 20. The Stars wasted no time getting started as Flynn buried his second of the season just 93 seconds into the contest after Morin forced a turnover in the corner to earn the assist. Flynn doubled the Stars lead to 2-0 with his second of the game at 7:34 of the second by deflecting Heatherington's point shot for his third of season. Texas finished 0-for-2 on the power play while Bakersfield went 2-for-6. Well, the Texas Stars do not look the same as they did on Saturday. First, there is hope that Justin Dowling could return to the lineup after missing just one game due to injury. Even without that, the lineup will be shifted. Jason Dickinson was recalled to Dallas yesterday and another forward will jump into the lineup to backfill. It will be Samuel Laberge or Austin Fyten as they are not veterans. Texas can't fill Dickinson's spot with Brian Flynn or Justin Dowling, since they would each put Texas over the veteran limit. The other change is the addition of Julius Honka. The Finnish defenseman is a huge difference maker at the AHL level and has the ability to dominate a game at times. If Denis Gurianov wants a model for what he needs to look like in order to be recalled for good to the NHL, Julius Honka is that model. Be noticeable on every play. Make the correct call. Dominate a shift. Dominate a game. Be a difference maker. In the other locker room, Bakersfield is a team with middling results so far in the season. Rookie Ethan Bear is tied with Joey LaLeggia for the team scoring lead at 2-3=5 in 7 GP. Other notables include Ty Rattie (2-1=3) and Jesse Puljujarvi (0-3=3). Texas ranks 23rd in PK in the league, but Bakersfield is 26th. On the other side, neither is a solid power play squad. The Condors rate 27th (8.7%) while Texas is mired at 29th (8.1%). Bakersfield has actually scored only two power play goals this season, they've just had only 23 opportunities, so the numbers look a smidge better. In terms of combined PP+PK, which teams aim to keep at 110 or better, these two clubs are 28th and 29th in the league. Only Lehigh Valley has a worse combined score. Nick Ellis in net for the Condors is doing well enough. He's only played in 4 of their 7 games but has an even record and a .919 SV%. Eddie Pasquale, a name that echoes in the history of the Central Division, is the other goalie for Bako. His numbers have been less than great at 1-2-0, 3.31 and .875.